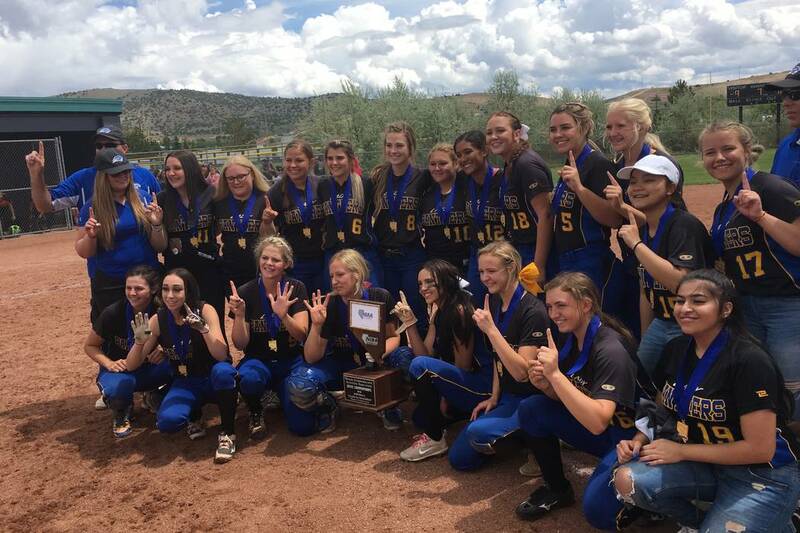 Pahranagat Valley scored three runs in the bottom of the seventh to walk off with a 10-9 victory at North Valleys High School on Saturday and their sixth consecutive Class 1A state championship. Pahranagat Valley's softball team celebrates winning the Class 1A state softball championship with a 10-9 victory against Wells on May 19, 2018 at North Valleys High School in Reno. Justin Emerson/Las Vegas Review-Journal. Entering Saturday, there was only one Southern Nevada softball team left standing. Seven already had fallen, and Pahranagat Valley was the Southern half of the state’s last chance to bring home a title, something Southern Nevada had done every season since 2006. The Panthers made it interesting, but they got the job done. 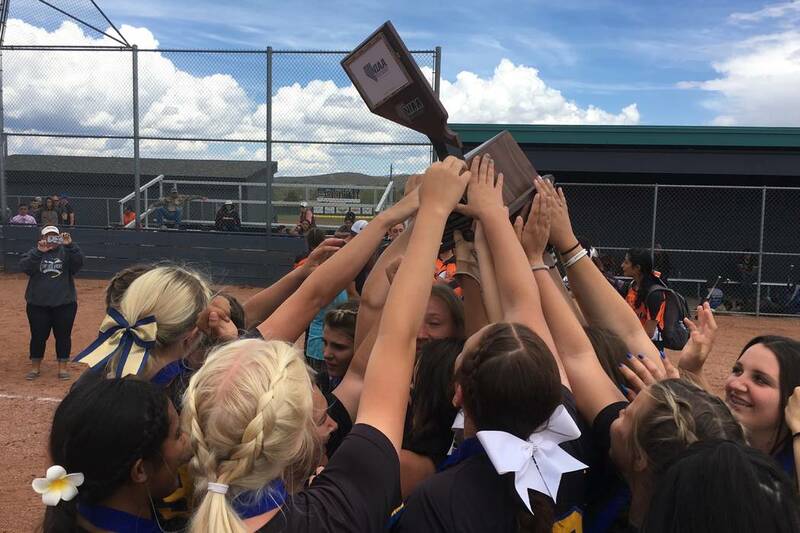 Pahranagat Valley scored three runs in the bottom of the seventh to walk off with a 10-9 victory over Wells at North Valleys High School on Saturday and their sixth consecutive Class 1A state championship. The Panthers scored five runs in the bottom of the first after the umpire ruled that a strikeout to Jessica Brede was not caught, and Wells walked off the field. The Panthers led 1-0 at that point, and scored four more in the frame. But Wells didn’t make it this far by giving up easily. The Leopards rallied for one in the second, two in the third and five in the sixth to take a 9-7 lead into the bottom of the seventh. Brede led off the inning with a single, and winning pitcher Ashlyn Wadsworth doubled her home. Another strikeout got away from the Wells catcher, this time when Emily Hansen was hitting, and the wild pitch allowed the tying run score. Morgan Harris laced a three-hopper to the third baseman two batters later, but the first baseman could not corral the throw and Hansen scored the winning run. The Pahranagat Valley seniors never experienced anything other than a state championship. Looking back, Wadsworth said because of the early lead turning to a late deficit turning to a walk-off winner, this was her favorite.